Welcome to the Research Guide for ENG 210: History of the English Language. Feel free to contact me if you need additional help (see sidebar). These databases contain a combination of full text articles (ready to read online) and citation information about articles, book chapters, or books. Index with abstracts to the international literature in linguistics and related disciplines in the language sciences. Covers 1973-present. Start here to find the immediate ancestry of an English word, obsolete forms and definitions, and cognate words (particularly in Germanic and elsewhere in Indo-European.) For more complete or accurate reconstructions, further sources should be consulted. Dictionary of Old English Web Corpus contains at least one copy of every surviving Old English text, representing over three million words. Dictionary of Old English: A to I defines the vocabulary of the first six centuries (C.E. 600-1150) of the English language. Note: Users must create an account to use this free resource. Each user will get 20 free logins every year. See the free access FAQ for more information. DARE documents the full panoply of American regional words, phrases, and pronunciations. This digital edition of the respected usage dictionary features audio, interactive maps, and insights into the DARE Survey. 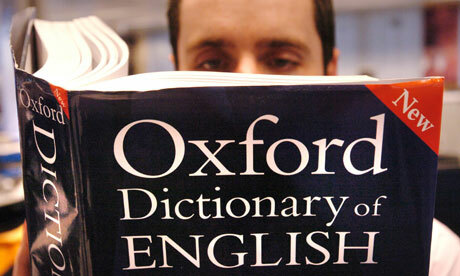 Widely viewed as the American equivalent of the Oxford English Dictionary. SuperSearch can be a great place to start to find out what's out there on a topic you're interested in. SuperSearch will find books, films, journal articles, news, and almost everything else the library has — from popular to scholarly sources. You can use the filters on the results screen to improve your results. For searching with more focus and precision, try one of the databases recommended on this guide, or search the Library Catalog for books.